Mantra Sadhana is an integral part of Shakti Sadhana. We have so far discussed, why is it necessary to get deeksha for a Mantra from an able Guru, various forms of Mantras and also the experience of various results with various Mantras. But there is a common issue faced by many of the Sadhak’s that is the feeling of being stagnated or stuck. It so happens that initially a Sadhak feels some progress but after sometime, there are virtually no experiences and this is when a Sadhak starts to question. Am I doing the right way? Am I doing the right Mantra? and Should I seek somewhere else? In this fast moving world such questions coming to mind are obvious. Many believe that once they have started doing Mantra Sadhana, enlightenment or siddhi is just around the corner. Sadly this is not the case with spiritual practices. I always ask a person during initiation, “What do you want to happen in your life? I get various responses and those responses mostly decide their journey. One category of people who are absolutely clear about their material goals and say i want good happy life, i want financial stability, I want my children to be well settled and so on. And other set of people who say, I just want peace and want to be happy. The moment I ask what you keeps you from being happy, there are all worldly and material matters coming up. Sometimes it is health, sometimes wealth and sometimes relationships. Even if they do not open up at that very moment after few days will surely share all various matters that are bothering them and that they are trying to find solutions there. And there is one special category who actually does not know what they want. Although they are trying to search for something but are clueless. The responses to such question actually determine the “Bhava” the emotion, feeling, undercurrent or thought with which Sadhana or practice is approached. The actual result of the Sadhana/ practice predominantly depends on this ‘bhava’. If you feel stalled or stagnated in your sadhana it is advisable to review your “Bhava”. Mantra is embodiment of the pure divine energy or a particular form of Shakti. Mantra is divine bhava of your Guru. Therefore it requires purity and divinity in you to work. Your own perception about ‘self’ is vital to your progress in sadhana. Sadhana is to be approached with ‘Divya Bhava or Deva Bhava’. So, to progress in Shakti Sadhana a sadhak/sadhika has to stay confident of his/her status as a legitimate son/daughter of the divine Mother. You must drop your material/social identity when you approach your practices or japa. In fact it is not only limited to treating yourself pure but goes even further. It is said देवो भूत्वा देवं यजेत …. meaning one should become a Divine being oneself before approaching a Divine sadhana. A very common problem among Sadhakas is – If I have not taken bath, changed by clothes.. etc. etc. therefore I am impure. And how can I engage in the worship / sadhana of Devi without ‘snaanam‘ (bathing) and wearing clean clothes. This is called ‘Pashu Bhava’. You must come out of this ‘bhava’. Know this – ‘The moment I remember divine Mother, I become free of all my impurities’. (I am not suggesting that you should not try to follow external shuchita.. that you MUST but if that is not possible you shouldn’t deny yourself that right to connect with divinity) निर्द्वन्‍द is the exact bhava here that you should aspire for. So next time you are sitting for mantra japa, become aware of your bhava drop all your apprehensions of being limited or impure. See yourself as a radiant source of love, light and purity. It will remove many roadblocks of your progress. Staying in touch with your Guru is another must do. It is said that one should stay with one’s Guru while one is engaged in Shakti Sadhana. When that is not possible one should visit one’s Guru personally every day. If even that is not possible one should spend time with one’s Guru once every fortnight i.e. on Poornima & Amavasya. If that is also not possible you must visit your Guru at least on three important occasions and receive his/her blessings- the occasions are Guru Poornima, Anniversary of Guru’s deeksha or Birthday, Anniversary of your own Deeksha or Birthday. Sitting in the company of your Guru is the best means of reducing the burdens of your previous sins. Both, Kabir and Tulsi say that such is the power of divine-contact with holy souls that it destroys off millions of your karmic defects in just few minutes. These meetings should be for the purpose of clarification of doubts, receiving more knowledge, offering service and absorbing the grace of Guru. If you have nothing to share its better to sit silently rather than engaging in absurd discussions on people, politics or parivaar-samsaara jaala. Ego is the biggest hurdle in spiritual progress. Beware the reasons for a disciple’s Ego inflation are created by Guru as well. Not because they want to harm us but only because they want the disciples to stay rooted in humility. If your teacher asks for something from you or gives you some work it is actually a sheer matter of joy and not burden because true Gurus generally don’t ask for ANYTHING from us. Also it is true that it is being an instrument in the divine cause or service is a great privilege. What to talk of saying NO, I feel a disciple should never ever create a situation by one’s inaction that Guru is required to remind or follow up. I can tell you only from my own experience and the truth is that whatever I have achieved till today it is only because I didn’t ever question any of my Guru’s commands whether they were against my personal, family’s or even social beliefs and norms. If Guru chooses you for his work it is great personal fortune but beware there’s a catch (Gurus are truly masters of their domain i.e. ‘keep testing the disciple’ ) – sometimes you may be driven to think that Guru is dependent on you. At times a disciple may feel as if he or she is the ‘chosen or favoured’ one. So much so that sometimes a disciple starts feeling ‘I am doing favour to my Guru’ or that ‘I am the only one who can do that’. Lo behold! A journey you started for the Heavenly kingdom of Mother divine… that started with surrender & humility reaches the ‘Ancient rocky Inn of Stagnation’ just because you could not keep the bhava of service (seva) and humility (vinamrataa) together. When a teacher says drop your expectations from Sadhana most of people are unable to understand this statement. How can that happen when every mantra sadhana fact begins with a sankalpa i.e. an intent. This needs little explanation. If I say that every karma you do starts with an intention I won’t be wrong. This intention should definitely be there in the beginning but then comes the phase of action. It is during this phase of action one should be completely free of expectations. Shakti Sadhana or mantra sadhana is a technique to create divine vibrations in your core of being therefore if during your mantra japa your mind splits in two entities – one that is engaged in creating the divine pulsations and another that is engaged in ‘expecting’ then the results of your sadhana can not be 100%. 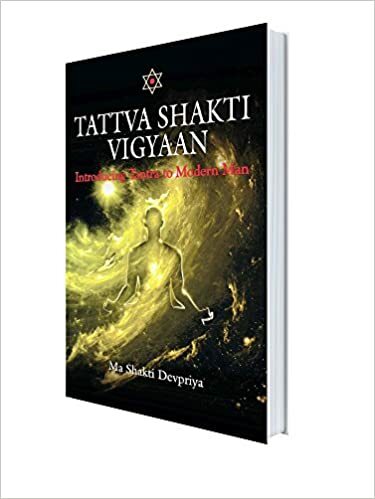 It is sad though but even in Tattva Shakti Vigyaan some people, who are in the initial phases of their sadhana, seem to have taken this path up as a remedial tool for alleviation of their physical or mental sufferings. These are the people that are NEVER 100% present in their practices. They are not only wasting their time but also becoming a case for scepticism and doubt about the Sadhana itself. The efficacy of Spiritual practices need not be judged with the worse case scenarios. Sceptics should understand that all the surgeons in the world have the same tools available to them but what makes one ‘the best’ in their field is their 100% dedication during learning and 100% attention during their ‘action’. So, if you are stagnated look at your bhava with which you approach the sadhana. If a ‘sceptic’, ‘doubting’ or ‘expecting’ fraction of mind is still there you should get back to training once again. Get back to basics – learn breathing, relaxation, detachment, service and discipline to calm your mind and finally bring your mind under control. Some learners aren’t self-driven. They need guidance during their practice as well. Such people should openly reach out to available guides around.. these can be your seniors, therapists, motivators and even good books that can bring in some light of enthusiasm and hope to you. If you are stagnated in Sadhana… watch for your thoughts. Discuss your personal issues with your teacher. Shut your mind’s chatter and stop whining and complaining about self, people and situations. Look at people around you who are not as lucky as you, not as affluent as you, not as healthy as you. Learn to count your blessings and stay in the attitude of gratitude for what you have or own today is not what you ‘deserved’ but what you have been ‘blessed’ with. Sadhana is not a 30 minutes TDS prescription – it is your choice to live your life in perfect harmony without succumbing to virtual sufferings. A sadhaka should be courageous enough to place the fruit of his/her sadhana in the hands of Mother Goddess with a request “Yathaa Yogyam Tathaa Kuru”. This is correct bhava in your expectations. In the Shakti Sadhana – we are told by our teachers that the Mantra needs to be kept secret and that experiences of Sadhana need not be discussed with anyone. Mostly these instructions are one time ritual and not repeated. Many times I have seen people failing to keep their Mantras secret. If you are still thinking that ‘my mantra’ is the same mantra that is written in so and so book – you missed the whole concept of Initiation or deeksha. Mantra is the Guru’s energy with you – It is not in the words of mantra. Mantra is just an envelope in which your Guru has packed his personal intent and the collective energy of his lineage to work for you. Once a mantra is revealed – it becomes merely bundle of words; The power of it is lost. If you have wrongly or by mistake revealed your mantra to someone – this need to be reported to your Guru immediately for it is only Guru who can limit (even he can not undo it fully) your personal spiritual loss now. Follow your Guru’s advice on repentance/penance that is typically known as ‘prayashchitta’ in the spiritual circles. When a Sadhaka/Sadhika experiences something mysterious during their sadhana it is so overwhelming and joyous. But always remember – howsoever beautiful or out of the world that experience might be – never fall prey to your temptation. Instead keep a journal, record your experiences on daily basis. DO NOT share your experiences with ANYONE except your teacher. If you share your experiences even once it dampens your progress to the extent that it may get completely stalled. Most of sadhakas in shakti sadhana do not understand what ‘bhava’ actually means it comes to Guru. I can not elaborate too much on it but let me say the essentials. The primary foundation of ‘bhava’ is about your attitude towards your ‘teacher or Guru, and the Deity. Some seekers/sadhaks think they rightfully ‘deserve’ the success in sadhana through their ‘karmas’ (following the prescribed processes of mantra chanting). Such sadhaks/sadhikas apart from being rooted in ‘i deserve’ attitude also think deeksha to be a kind of barter or transaction. This attitude takes a student nowhere! If a person has found an able teacher it is sheer grace of Mother Divine because we can NEVER ever pay for Guru’s benevolent deeds. Kabir says..
Second grave mistake sadhaks/sadhikas commit is that they treat their teachers as ordinary human beings. I have seen people who treat their Gurus as one of their friends or the worse ‘a servant of a kind’ who should be ready to ‘serve’ the needs and demands of theirs. If you see this dohaa of Kabir you would know that a student should rather be at the service of Guru. Guru is a divine incarnate one must keep in mind and therefore receive his blessings with ‘divya bhava’. One should not ever criticize one’s Guru. It is told in Shakti Sadhana lineages and also finds mention in scriptures that Mother never smiles upon such people. And upon leaving this human body they are pushed into the cycle of 84 Lakh inferior yonis. Whenever you visit a temple or your Guru you should never go empty-handed. Always offer something at the deity and your Guru’s feet. It is not for the purpose of pleasing them but only to offload our karmic baggage. Offering money, clothes, flowers etc. is mandated in scriptures but this is in essence ‘cultivation of bhava’. The secret in Shakti Sadhana is – If your Guru is not happy with you or even just indifferent of you, your mantras do not take you beyond a point! I have still not given whole lot of things you should do in order to succeed but only preliminaries. I suspect even this much is much more than what you can currently prepare yourself for! The pact with darkness – Mother! You have to help me break it..
A wonderful piece of wisdom I came across today. This is truly a line that reminds me of eternal fear, each one of you is living through. Fear that keeps whispering in one’s ears that everything isn’t going well… that something bad or worse going to happen. This Ms. Fear or Mr. Fear, as you may like it, is everyone’s darling. Most of people around seem to have entered into a pact, a thrilling love-hate relationship with Mr./Ms. Fear. This Fear seem to be taller than the keepers’ ambitions and courage, duskier than the bright hopes and intoxicatingly attractive than their resolve to not pay attention to its luring overtures. Our relationship with ‘Fear’ is captivating and exciting at the same time; capable of keeping our attention focused on Ferociously Engaging Automatic Response of one’s mind. It is truly a pact we have made with the darkness, so whenever there is a situation in front of us, we choose darkness instead of light. There are many difficult times in life when the we feel that it is difficult to choose light over darkness but just unwantedly darkness hovers above our heads. And again yet again we fall prey to the plays of darkness and fear takes over. This pact made is renewed and gets stronger when we fail every time to see light but continue with darkness in life. A vicious circle goes on and on and we find difficult to come out of it. How to break this unending cycle of fear and darkness then? Fear is always of something ‘unknown’. As a Shaakta, what better way can there be for us than to take refuge in the divinely radiant lotus feet of Mother to ward of all the darkness, negative patterns and fears of life. these are the cosmic cluster of flowers from which gushes the nectar of intelligence for the dull-witted and it is the Necklace of wish yielding gems for the poor. The same shakti of yours becomes the tusk of the cosmic boar (varaha, incarnation of Lord Vishnu) uplifting the people immersed in the ocean of samsara! The samsara means the unending infinite cycle of birth and death..
Saundarya Lahiri’s this verse is loaded with the Mother’s specific power that removes darkness. With light comes knowledge and knowledge dispels fear. Its not coincidence that You are reading it – It is Her blessing. Anyone who is recites this powerful shloka is blessed. Nadi Shodhana – A Complete Wellness Programme! Someone rightly observed that we tend to take sips of breath. In fact almost 70% of modern ailments can be linked to wrong breathing habits of people. From poor digestion to anxiety, low immunity to lethargy, hormonal imbalances to premature aging all can be due to poor breathing habits. So the first step to achieve wellness on a deeper level has to begin with breath-training. Nadi Shodhan Workshop from is a 4 Hour intensive training programme in breathing for the beginners under the guidance of experienced Yoga teachers from The Shakti Multiversity® catering to the very needs of modern man in the direction of breath-training; an essential knowledge for attaining perfect health. Nadi Shodhana is a breathing process in Yogic discipline which is typically used to cleanse and detoxify body. As per vedic literature on Yoga no other Pranayama should be attempted before attaining complete purification of Nadis because in that case you run the risk of experiencing multiple negative effects on physical, psychological and spiritual levels. Nadi Shodhana, though seemingly a very simple practice has many nuances. The Yogic way of breath training involves elaborate lung-capacity enhancement exercises, proper understanding of subtle diaphragmatic movements, knowledge of complicated muscular locks that are used in the process and various styles of inhalation and exhalation suiting to individual needs. So, if one is aspiring for perfection in the practice only an experienced and qualified teacher who has an eye for the perfection shall be able to guide you properly in the Nadi-Shodhana. “Nadi Shodhan is an unavoidable process for anyone who is trying to achieve holistic wellness, sensitivity to energies & spiritual growth. The importance and glory of this simple process can be assessed by the fact that it has been integrated in almost every system of spiritual ascension” says Acharya Agyaatadarshan Anand Nath, a Tantra Master and the founder of The Shakti Multiversity®. There is no prerequisite to register for this programme. Anyone who wishes to learn the process, is practising any meditation, wants to achieve medicine-free life, interested in spiritual growth can do this programme. The only qualification being sincerity to learn and practice the process on regular basis.